All tunics are lined with poly linings with facings and lining and my label with a size tag. The tabards and sash are lined with the same poly fabric making them reversible. The tunic has snaps in the center front to keep them closed and to stay in place and also have tie strings for the underflap to keep in place. The tabards are attached to the tunic with snaps to keep from sliding while costuming. All seams are understitched to keep them flat. 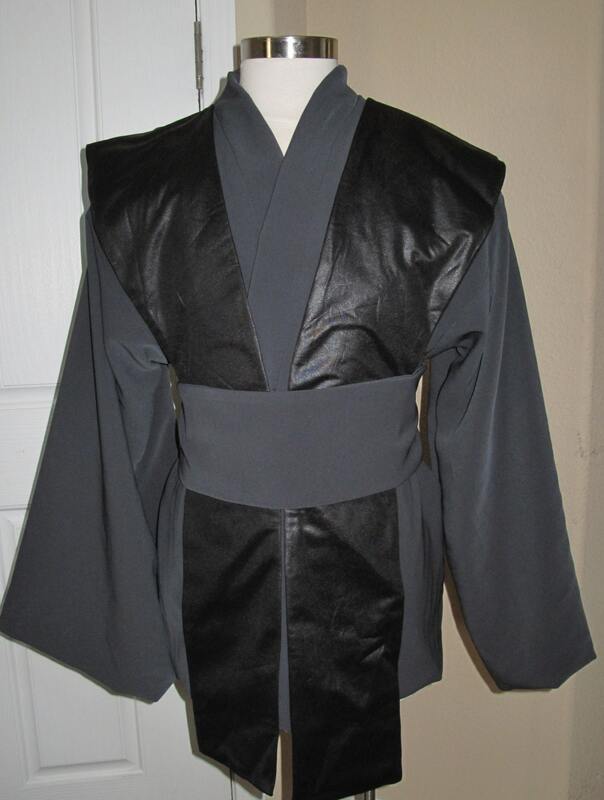 The sash/obi has Velcro for closure. If I have forgotten any information or you have any questions, please ask. All items are produced by Eva Vanecek with pride in the USA. I also do custom orders to accommodate your height, please don't hesitate to ask.